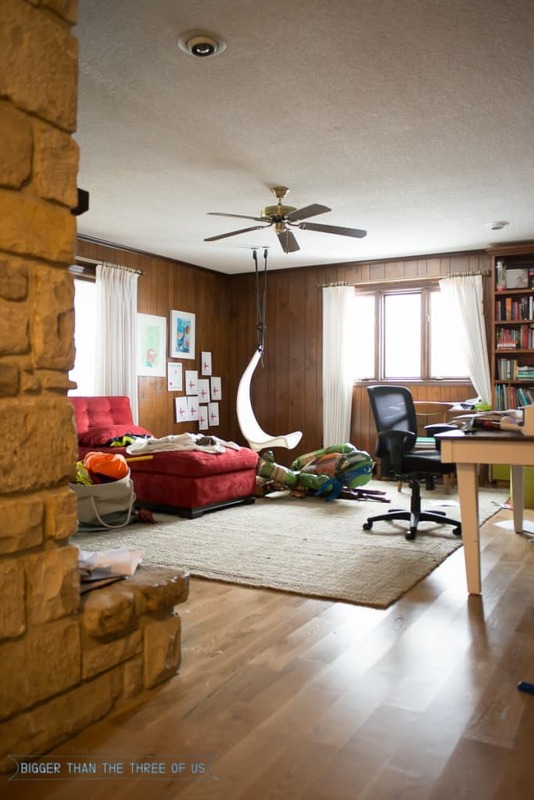 Today is the day that we chat about our Playroom Office Combo and hopefully you all will have some good ideas for me. 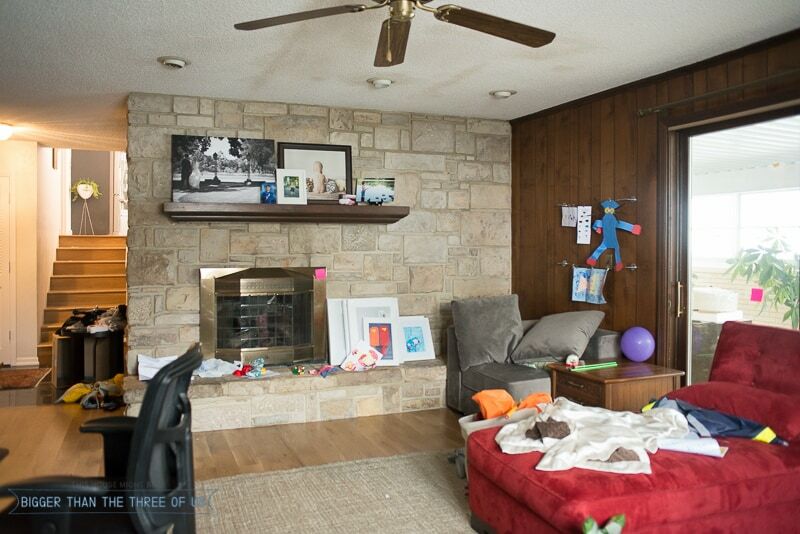 If you remember when I posted last week about our renovation/remodel goals – I included refreshing the office/playroom space. The space is so uninspiring. 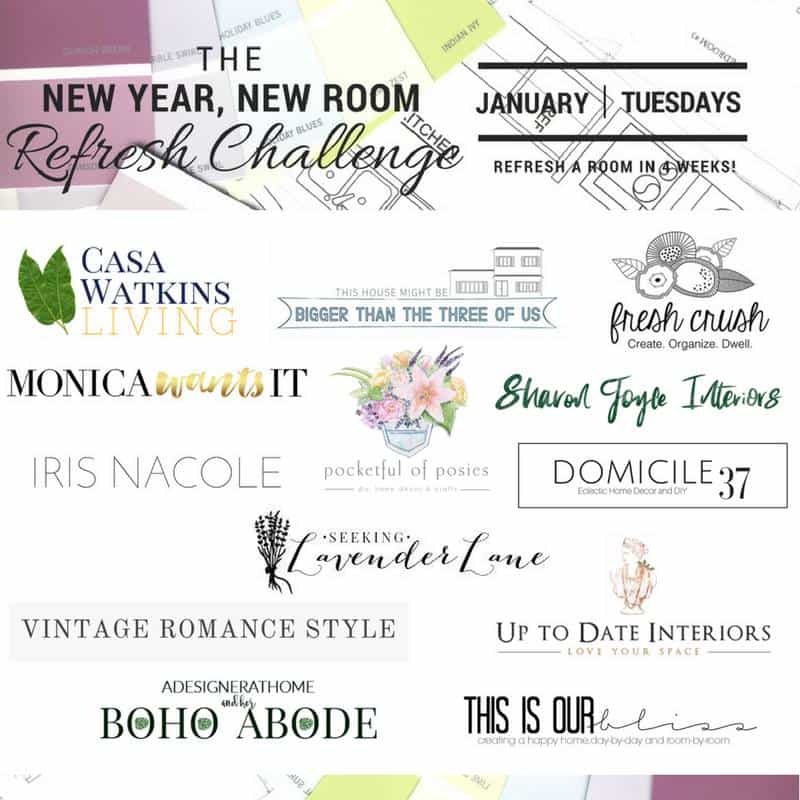 When I was asked to be a part of a refresh challenge (this one is different than the $100 challenge where I’m working on my powder room), I jumped at the chance. Seriously, how can I be creative in a space that’s dark and dreary? How can I be inspired to write blog posts or do fun projects? How can I even get to my desk without tripping over toys? 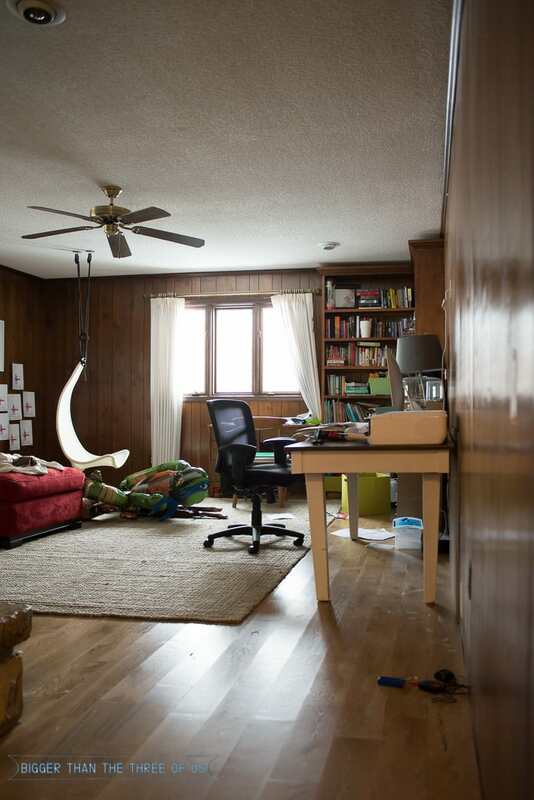 Aren’t you totally inspired by this gorgeous space? 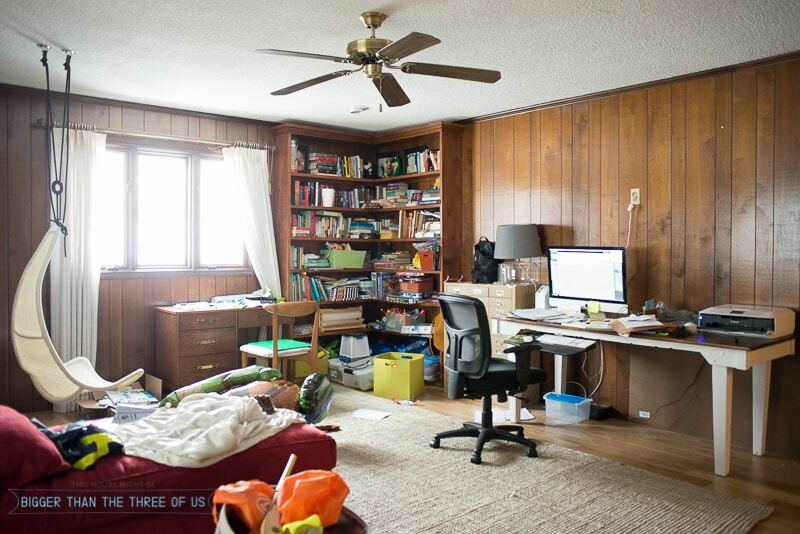 If I’m completely honest, this is about how messy the space normally is. Want to see the plan? Too bad – I don’t have a plan yet. Well, I do have a plan but it’s not a design plan. On the to-do list this week is to purge and organize. I think I need to see what I have in here that’s actually going to stay before I make a plan. Any grand ideas that come in on the cheap side? Inspire me, please! Hop around and see the other rooms in this challenge.